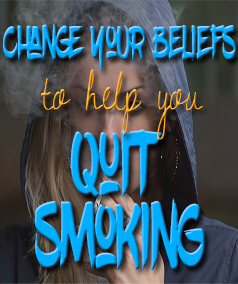 Change Your Beliefs to Help Yourself Quit Smoking - Better Believe It! Our beliefs determine how we act. 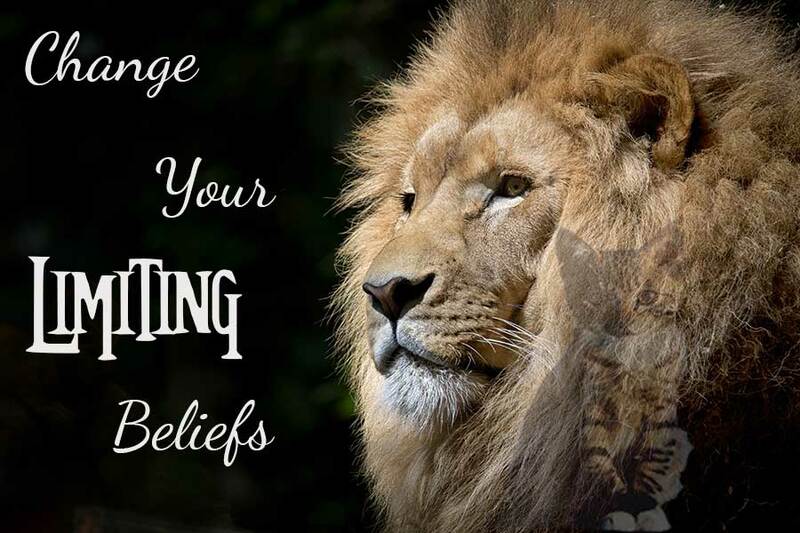 When you change your beliefs, your behavior changes as a result. If you’re a smoker wanting to quit, changing your beliefs can help you kick the habit for good. If you quit by “willpower” alone, but you haven’t changed your beliefs, you have a good chance of relapsing. The beliefs you hold as true came to you through a variety of ways. Many came from what others told you, especially when you were a vulnerable child. Beliefs can also come from your experiences, from what you tell yourself, how you’ve interpreted and filtered the sensory data you’ve perceived, what you have focused on, etc. And your beliefs are reinforced by your emotions, which is why some people feel angry or scared when someone challenges their beliefs. In order to become a smoker, you had to have adopted certain beliefs, and to continue to smoke, you still believe certain things. Quitting is difficult, as you have to overcome the physical withdrawal of nicotine cessation, but you can greatly increase your chances of success if you change the beliefs you hold to be true about smoking. The goal in choosing which beliefs to adopt and which to throw away is to choose beliefs where you become not emotionally attached. If you quit and “flip the switch” and become vehemently opposed to smoking, hating it and having other reactions, you are still emotionally involved. An ideal will be to bring yourself to a place where smoking is just irrelevant. If you don’t sky-dive, you don’t walk around every day saying, “I’m a non-sky-diver”. You just don’t think about it. That’s the goal. Smoking Adds Positively to my Identity. Oftentimes when people pick up smoking, they believe that smoking makes people perceive them in a certain way. They might think it makes them “cool” or “a rebel” or “sophisticated” “interesting” or even “mature”. Adopting this belief gives cigarettes the power to define who you are. When you first started smoking, your body did not like it, and it let you know that. You probably coughed, got dizzy, or got nauseous. But maybe you thought that by smoking, your friends would see you in a more positive light, so you ignored your body’s signals and used your willpower to smoke in spite of your body’s reactions to it. You know all the grave statistics about smoking and all the risks to your health it presents, but somehow you believe that the pleasure you get in this moment is more important than the deleterious health effects that will probably pop up “later”. A better belief to adopt is “My future matters and is more important than a temporary, momentary pleasure right now”. Smoking Relieves Stress or Anxiety. Smoking actually constricts the blood vessels and raises blood pressure. As soon as nicotine levels start to fall, your body starts craving another cigarette. As a result, you get edgy or anxious as you feel you need another hit, but you wouldn’t have that anxiety at all if you did not smoke. Smoking actually increases your anxiety. And as for stress, if you smoke, you always have to keep track of your cigarettes and your lighter. If you run out, you have to make a special trip to the store or gas station. And then there’s the worries about possible health problems from smoking. So smoking actually increases the stress in your life. Smokers believe that smoking is a treat when they say, “I’ve had a bad day. I deserve a cigarette” or “I haven’t smoked for 8 hours. I deserve one”. Instead, adopt a different belief, like “A warm, hot bath with soothing music is a reward”. I Can’t Get Through a Day Without a Cigarette. The fact is you got through lots of days without a cigarette before you started smoking, and it didn’t kill you. And millions of former smokers now get through their days just fine without a cigarette. The first week can be very difficult, but it gets easier and easier until you don’t even think about it anymore. Believe it: “I can get through today just fine without a cigarette”. This belief implies that it’s part of your identity. The fact is, it’s not at all who you are. It’s just something you chose to do for a while – until you outgrow it or it doesn’t suit you anymore. Many smokers believe something along the lines of, “It’s my body, and I’m only hurting myself, so who cares?” But if you have pets, chances are you’re hurting them too. Anybody who cares about you does not want you to do harmful things to yourself, and by doing something harmful to yourself, you are hurting the ones you love and who love you, especially if some negative health effect pops up because of your actions. Believe instead, “I am connected in the web of life, and hurting myself hurts others, too”. Deep down, some smokers may feel a sense of inadequacy or a lack of self-worth. They may adopt an attitude of “I don’t care about myself”. The fact is, you are most definitely worth the effort it requires to quit smoking and take care of yourself. You’re unique with special talents and perspectives, and the world needs you whether you see it or not. Smokers often tell themselves this and believe it, but it is not true. Your body’s physiology does not need nicotine or any of the toxic chemicals in it to survive or thrive. In fact, your liver works to break down the nicotine and get rid of it, and your lungs produce mucous to trap the particles inhaled so they can be expelled from the body because your body does not need cigarettes. When you first quit, there is a period of physical adjustment that is uncomfortable, but once the nicotine is out of your system, those uncomfortable sensations will go away. You do not need cigarettes. A need implies something you must have for your survival. What you need is to be healthy and not have a cigarette. Smokers often say cigarettes help them feel relaxed, handle stress, wake up in the morning, enjoy their coffee, deal with stress, or any number of other tasks. The fact is that’s just a belief you created, and it’s one you could easily replace with something even better. If smoking “helps you relax”, why not try deep breathing or yoga or taking a walk or something else? If you believe it helps you handle stress, why not do something that would really help you handle stress, like playing with your pet or learning to be assertive or meditating or any other activity which is actually more helpful than grabbing a cigarette. Quitting smoking is a process, and it can be a difficult habit to change. But if you change your beliefs about smoking and adopt more useful beliefs instead, you can help yourself make the process go easier and last a long time. Take deep breaths, find something else to do with your hands, and most of all, keep a list of your new beliefs handy to refer to often so you don’t fall back on the untrue, dis-empowering beliefs you used to have.